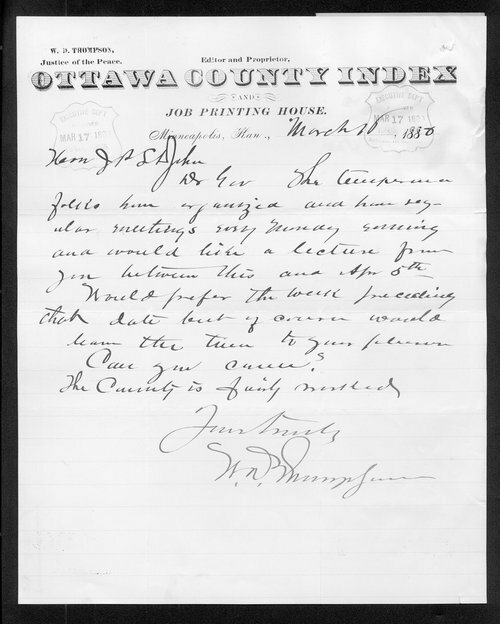 This letter from W. D. Thompson, Justice of the Peace in Minneapolis, Kansas, requests Kansas Governor John St. John to lecture in his community before April, if at all possible. It is written on stationery of the Ottawa County Index. Thompson is the editor and proprietor of the newspaper.